leica.overgaard.dk - Thorsten Overgaard's Leica Pages - The Story Behind That Picture - "Thorsten Overgaard Summer School for Young Talents"
Composition is to see the world within a frame. To see and decide what has to be in the frame and what does not have to be in the frame to tell the story in mind. 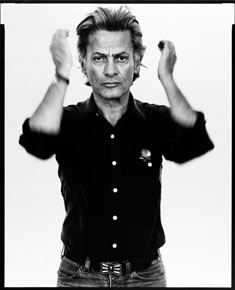 I find Richard Avedon interesting because his “early photographs” were centered on the body in movement. There is a strong element of simple, elegant composition and use of shadows. 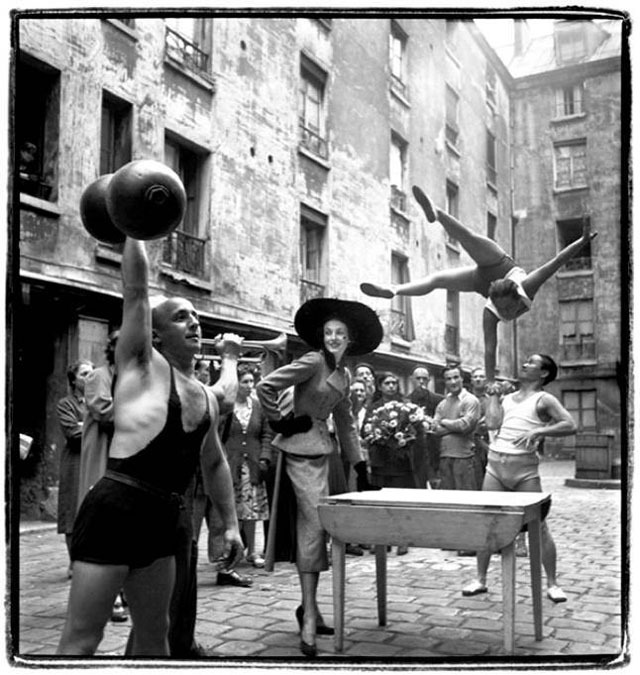 Storytelling is a strong element in Richard Avedon photographs in the 1940’s and 1950’s. Here Suzy Parker and Robin Tattersall in an evening dress by Griffe (Moulin Rouge, Paris 1957). His main communication in the 1940’s and 1950‘s was empowerment of women as strong, beautiful and independent. 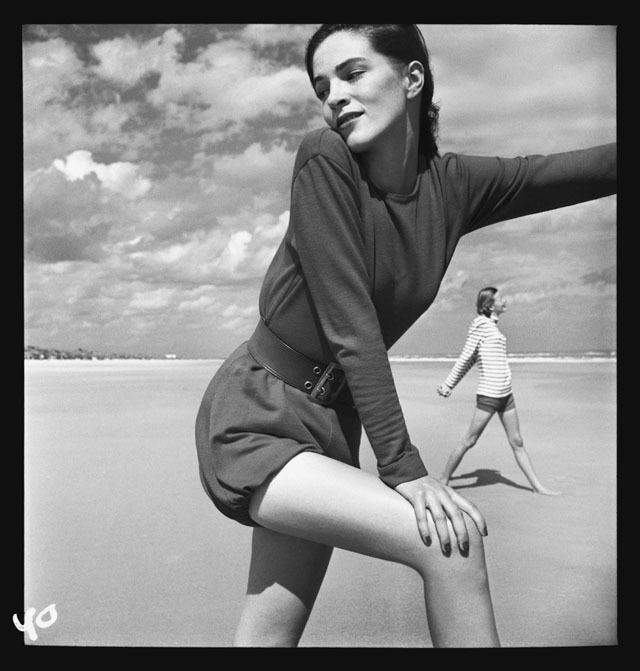 His main elements in his fashion photography were some times simple aesthetics by movement of the body (often acrobatic) that signals freedom and happiness by stretching out and reaching out; as if the possibilities are endless. Storytelling about living the highlife, and the elegance of being a woman. First and foremost his photographs were fun. It’s a much higher state of being to be in movement and on a life adventure, than sitting in apathy, as in later and current fashion photography. I am not advocating that the old days where the best days, but in fashion and fashion photography, we could do with some of the qualities Richard Avedon introduced in his 1940’s and 1950’s photography. In today’s fashion the women is not a woman anymore. Fashion is often directed by a man who wants to be a woman, creating a universe of almost jealous admiration. In my view, that is why today’s fashion is often men as women and women as men. It’s interesting that when Richard Avedon portrayed men – as he did for example of the entire Kennedy administration in the 1960’s – he portrayed them as powerful on an almost godlike level. I happened to speak with one of the people in the portraits, and they recalled them as the best portraits ever. As a one-photo statement of how they would like to be remembered in this life. It should be fuel for some interesting thoughts next time you have to do a portrait of a woman or a man. 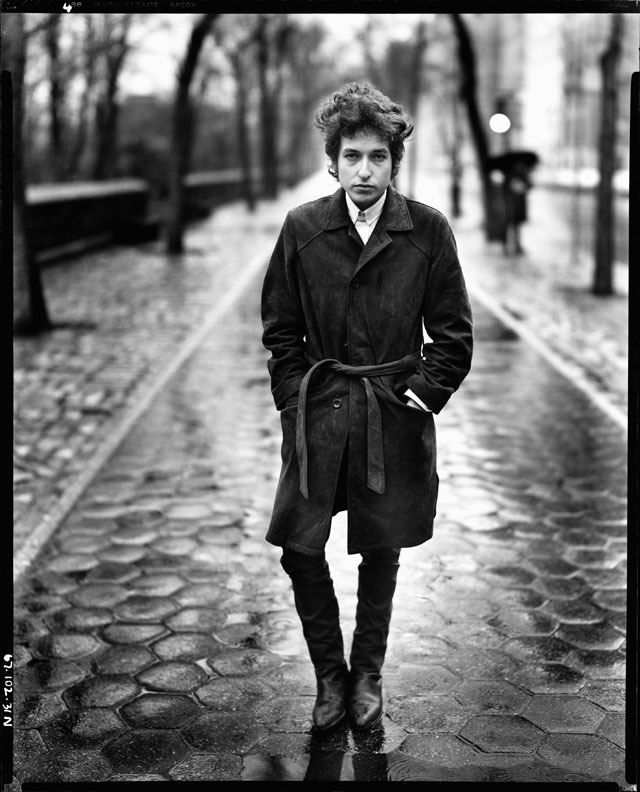 Bob Dylan by Richard Avedon, 1960’s. Maybe not powerful in the political sense, but independent and very Bob Dylan-ish. In the 1960’s the women started becoming an object, and also this is in the style of Richard Avedon. He follows the general trend of fashion from the 1960’s and onward. But I still sense the true Richard Avedon view on women and men shining through even then. Let’s not forget that fashion photography almost killed Helmut Newton. It’s a though business. But Helmut Newton returned to fashion for the money and the access to beautiful women; and suffered a hearth attack. What I mean is that the photographer is not always the one deciding the message and style of his fashion photography. Woman reduced to an object in the 1960’s photography. Here in the Richard Avedon style for Raalte Bahamas knitwear worn by Lauren Hutton. This picture sold at Christies for $31,000, by the way. 1940’s: The powerful and beautiful Woman. 1950’s: The Woman as an Explorer of the World (with slutty men). 1960’s: Woman as a Material Object. 1980’s: The Woman as a Gym or Disco Queen (and the super models). 1990’s: Perverted Mysticism and “Heroin Chic“. 2010’s: Woman as Men and Men as Women (and the pop stars and movie stars as models; the brands rely on others star brand to lean onto for rather than taking the risk creating their own). 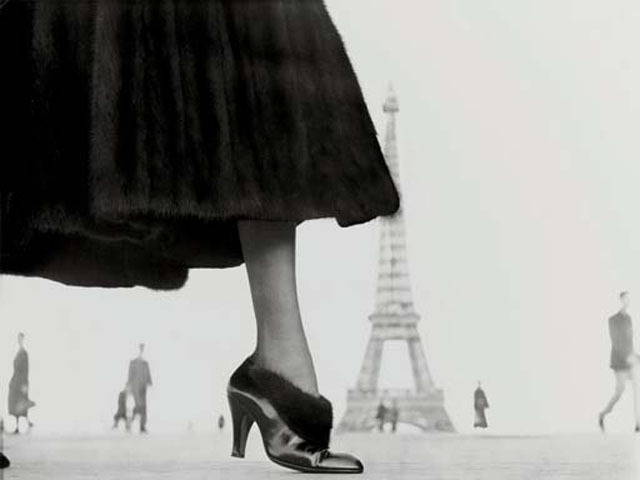 Richard Avedon in Paris, 1948. Shoe by Perugia. Above: Richard Avedon: Junior Bazar, June 1946.